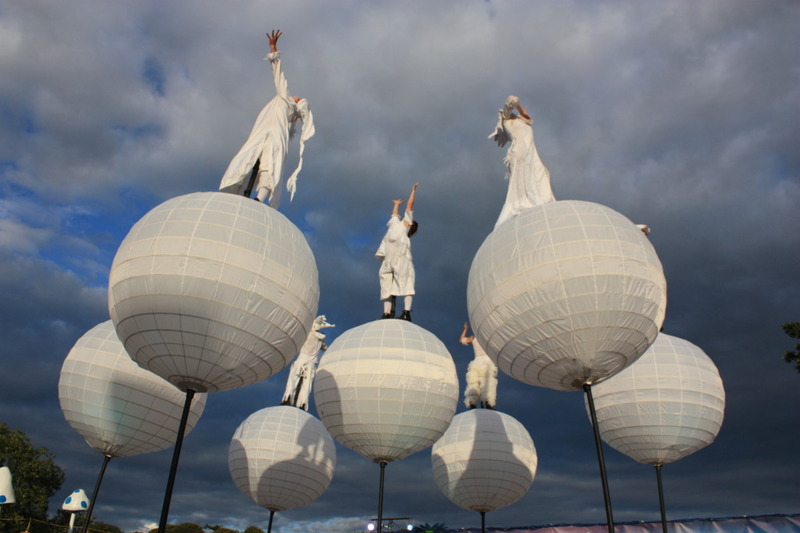 Creation, exultation, liberation, life, the universe and everything. 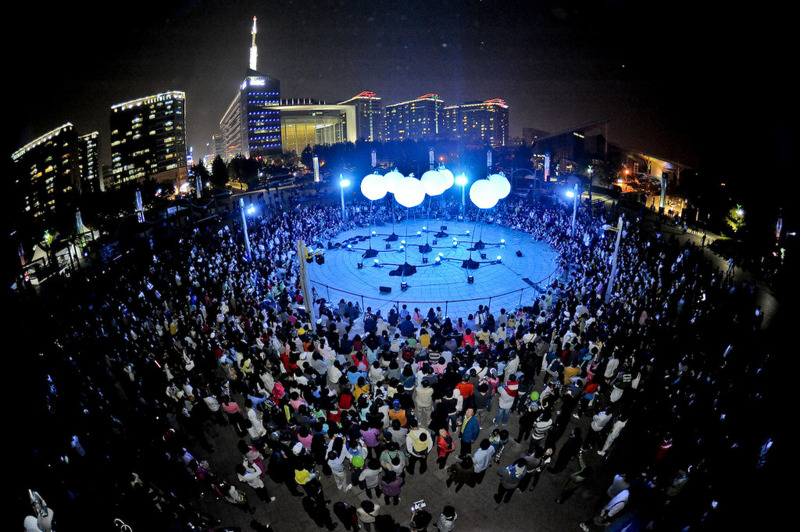 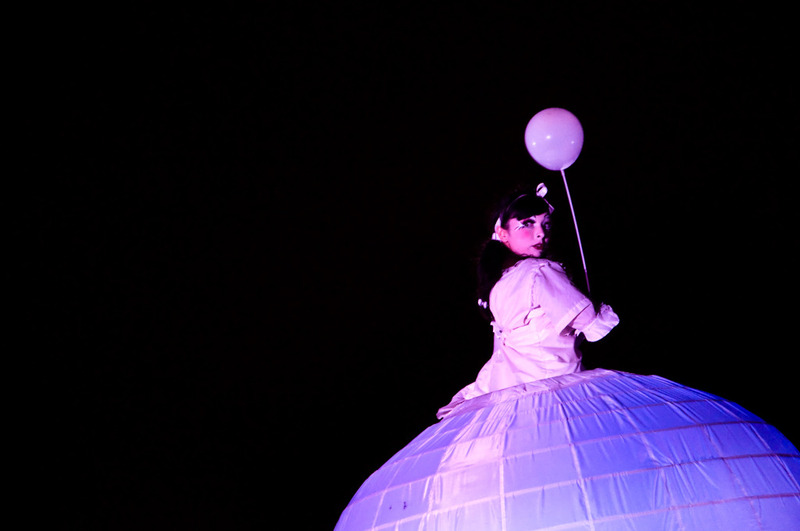 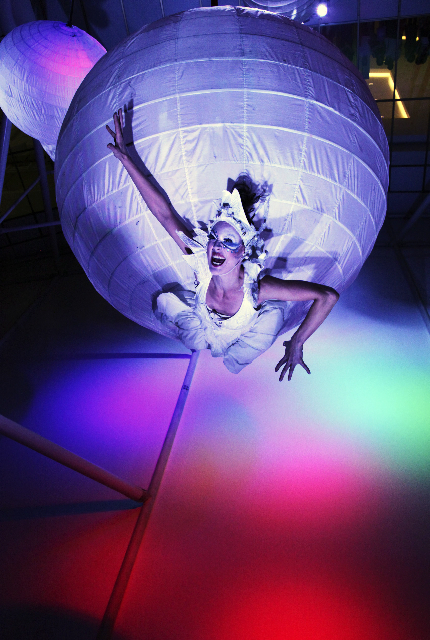 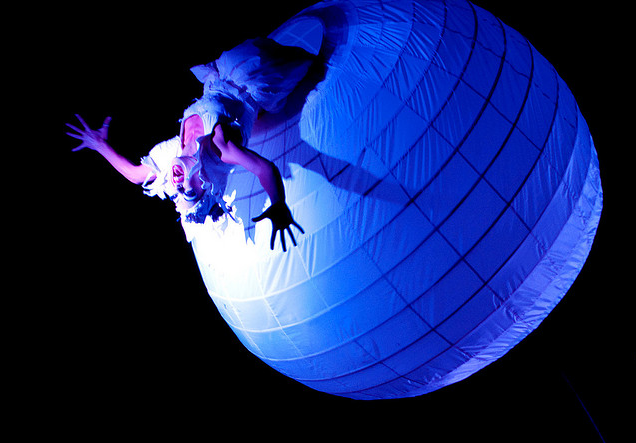 The Spheres take a whimsical look at physics, the miracle of birth and humanity’s existential relationship to our planet. 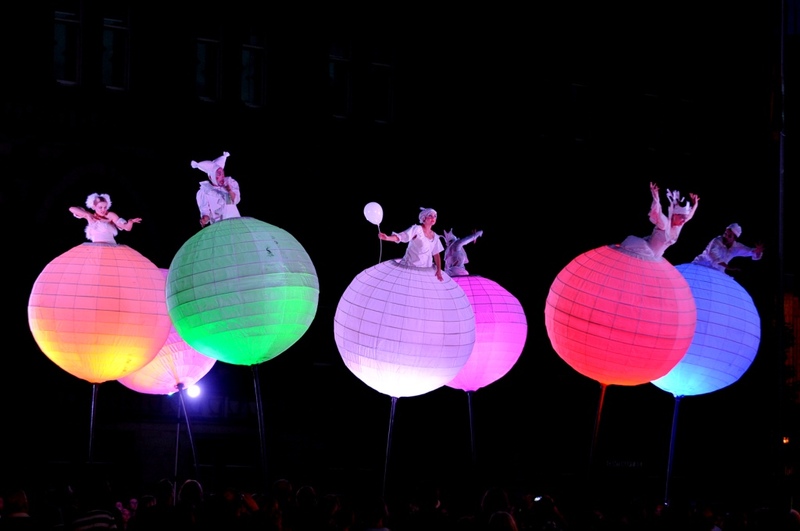 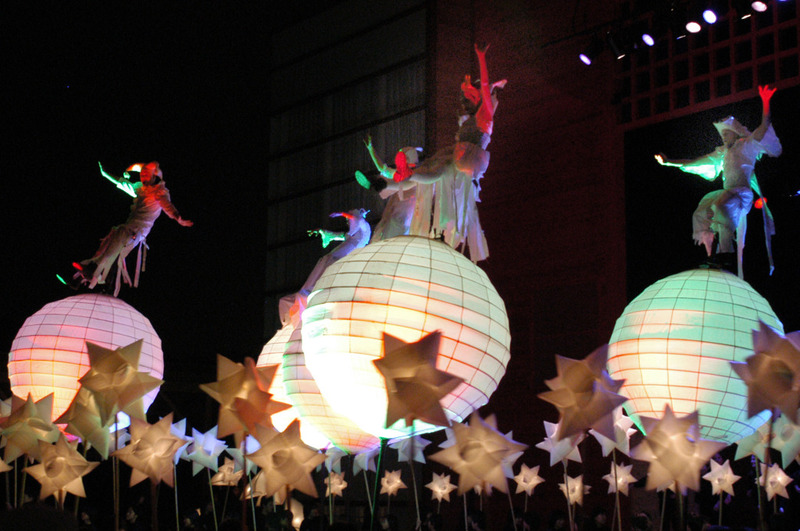 Four celestial beings emerge out of illuminated globes to recount a tale of transformation and wonder. 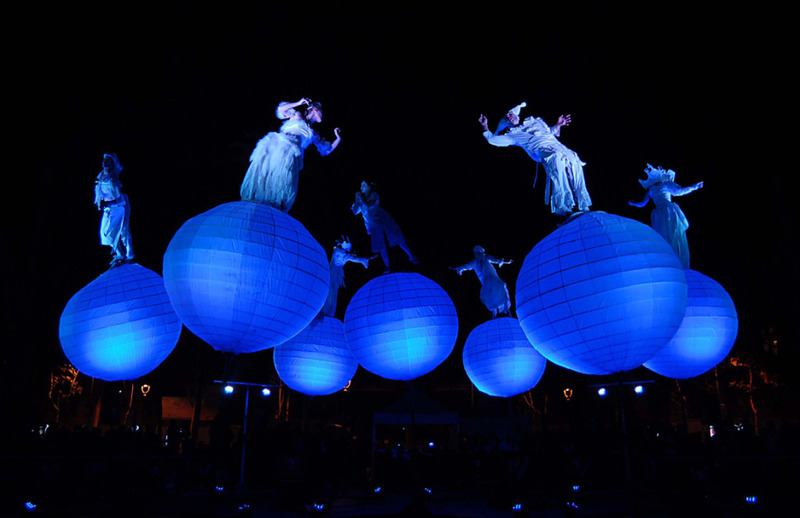 Giant, illuminated orbs of luminous beauty contain characters that gradually emerge to stand and rise above their spheres of existence. 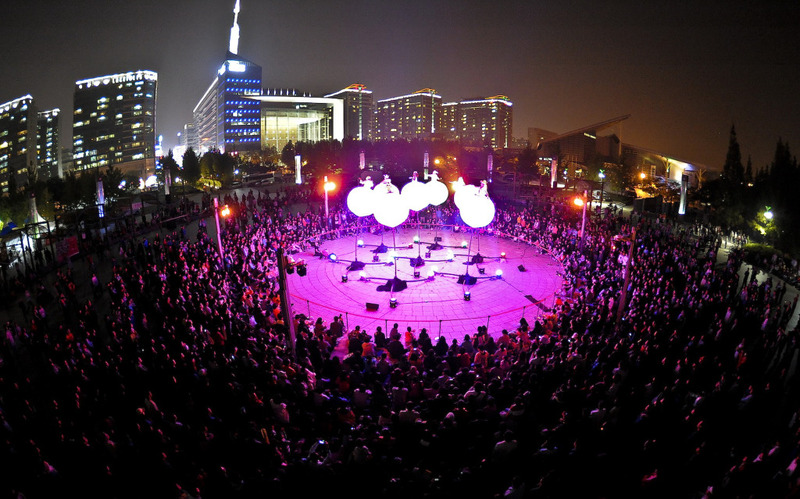 This piece is beautiful, reverent and sublime. 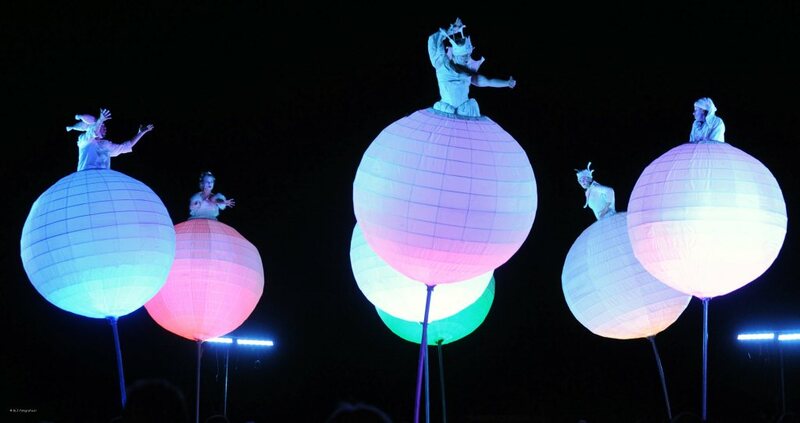 This dazzling quartet version of The Spheres is twenty minutes and for presentation at nighttime only.